As someone who’s been walking around with a beat-up iPhone 5 and a battery ready to die on me any moment, having access to more public phone charging stations is something I can absolutely get behind. It seems Japan is sympathetic to this need. 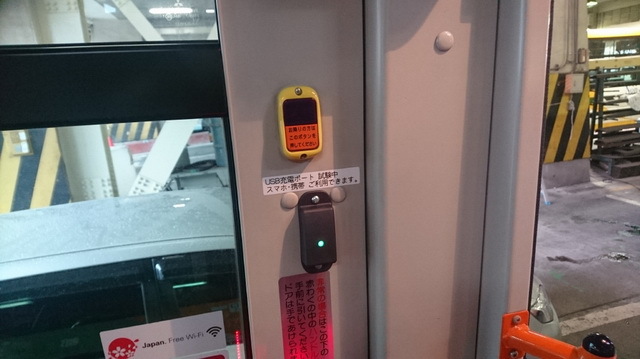 According to Japanese news outlet IT Media, a public transport bus in the Tokyo area has introduced, and is currently testing, USB charging stations for commuter phones and tablets. While the local Bureau of Transportation hasn’t formally announced or confirmed the trials, numerous passengers so far have reported seeing the charging ports. The service runs free of charge, with at least five of these wall-mounted charging hotspots placed inside the bus. According to reports, the service is currently available solely in a single bus. It remains unclear how long testing will continue or whether it will eventually roll out to more buses. Japan isn’t the only country to have offered phone charging stations in public transport vehicles. Last September, London also equipped a limited number of busses with USB chargers. Similarly, Singapore ran trials with wall-mounted phone chargers on at least 10 buses in September last year. So don’t be surprised if you see the service available on one of the buses in your local area sometime soon. But until then: Better make sure you keep your portable battery pack in your backpack.